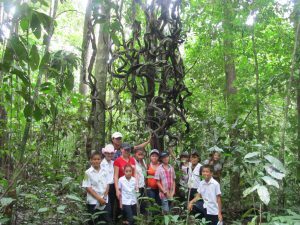 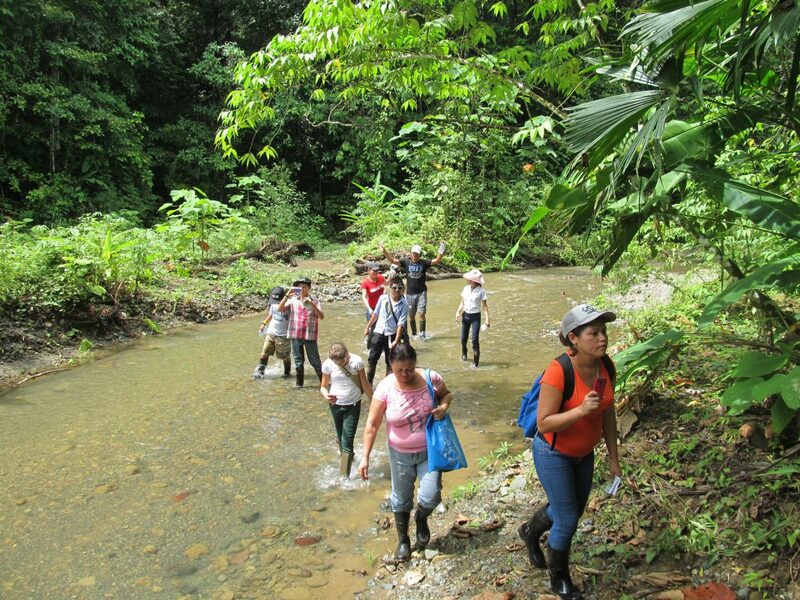 This past July 30, 16 students from Carbonera, Rio Oro and Piro schools toured the “Discovering the Rainforest” interpretive trail accompanied by two teachers and two persons familiar with the trail. During the tour, the students enjoyed a morning in the forest learning about the ecology of rainforests at each station on the path. We had an opportunity to observe spider monkeys, Baird’s Trogon, snakes, and to observe and admire giant forest trees like the Ajo, Reseco, Baco, and Ojoche trees. 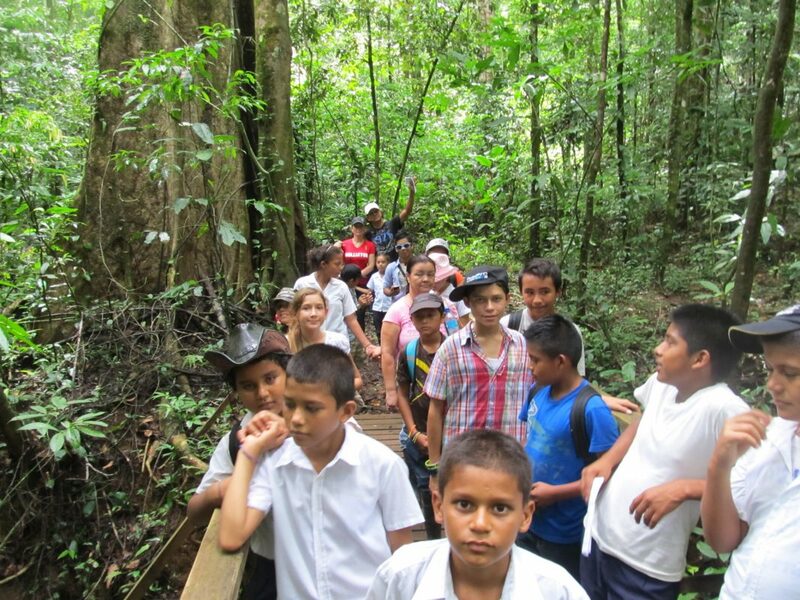 This portion of the interpretive trail “Discovering the Rainforest” will be one of many that students from local schools can use, where experiential learning promotes awareness and ecosystem conservation and biodiversity of the Osa.